Shawn Butte focuses his practice on representing employers in a variety of labor and employment matters. He crafts creative and practical business solutions to complex legal challenges faced by corporations and emerging companies in a range of industries, including hospitality, technology, financial services, retail and pharmaceuticals. Shawn regularly represents employers in high-stakes litigation involving restrictive covenants and trade secret misappropriation, breach of contract, wage and hour class and collective actions, and more. He has experience in both federal and state court, as well as in alternative dispute forums such as the American Arbitration Association. In addition to his litigation practice, Shawn advises management on a variety of workplace issues, including hiring and terminations, employee mobility, trade secret protection, wage and hour policies, employee classification, workplace investigations, personnel policies and compliance with employment laws and regulations. Shawn uses his experience as a litigator to help clients proactively avoid protracted legal disputes. 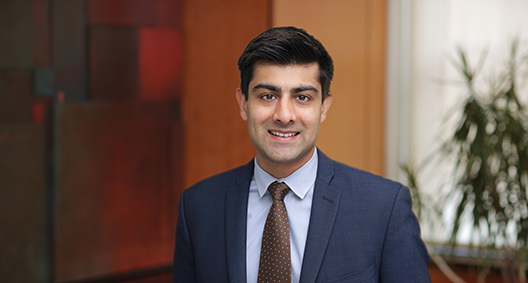 He is recognized by Super Lawyers as a New York Metro area "Rising Star." Negotiated a settlement on behalf of New York City hotel in a wage and hour matter involving allegations of unpaid wages and violations of New York Labor Law. Represented municipal administrative agency in collective action alleging unpaid overtime and off-the-clock work. Defended financial services company in a federal wage and hour lawsuit alleging misclassification of managers. Defeated a TRO application alleging violations of a non-competition agreement and theft of trade secrets by the director of a large pharmaceutical company. Successfully defended New York City hospitality company against misclassification lawsuit filed in U.S. District Court (Southern District of New York). Second-chaired representation of a large retail company in a 10-day hearing before the American Arbitration Association involving claims of hostile work environment and retaliation. Second-chaired collective bargaining negotiations on behalf of a Massachusetts hospital against SEUI 1199. Drafting employment-related agreements and policies, including offer letters, employment contracts, restrictive covenants, separation agreements and employer handbooks. CivicXcel (Accelerator of Civic Hall Labs): Facilitator for start-ups focused on social impact and civic engagement. Works with Immigration Asylum to represent gay, lesbian, transgender and HIV-positive individuals seeking asylum in the United States. Defended the City of New York in depositions in various civil litigation matters. Advised an international nonprofit regarding employee mobility and use of independent contractors.